For more than thirty years, I've traveled around the world and across all seven continents as a professional photographer. 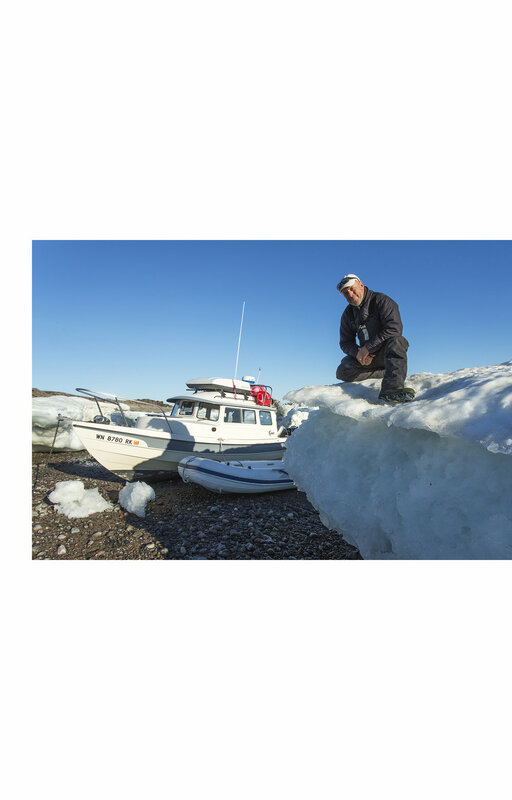 Traveling solo in a 22-foot powerboat called C-Sick, I covered thousands of miles of remote coastline photographing polar bears in the Canadian arctic. Those misadventures are cheerfully recounted in my debut book, Arctic Solitaire. My images have appeared around the globe in a wide variety of publications, including National Geographic, Geo in France and Germany, Time and Life magazines as well as thousands of publishing and advertising projects. A few of those photographs have drawn a modest bit of acclaim, including first place awards at the BBC Wildlife Photographer of the Year competition in 2011 and 2013, Grand Prize in the 2013 National Geographic Photo Contest, and Grand Prize in the 2014 Big Picture competition. Over the last three decades, I've mounted dozens of solo photographic expeditions and visited more than 65 countries. I have been kissed by dolphins, slapped by penguins, head-butted by walrus, terrorized by lions and menaced by vertebrates large and small. I once spent 27 hours digging a bogged safari truck out of the Seregenti mud using only a sauce pan. I still think I have the best job in the world.